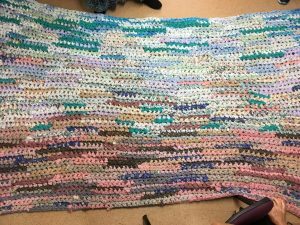 I love Debbie’s amazing crocheted rag rug. 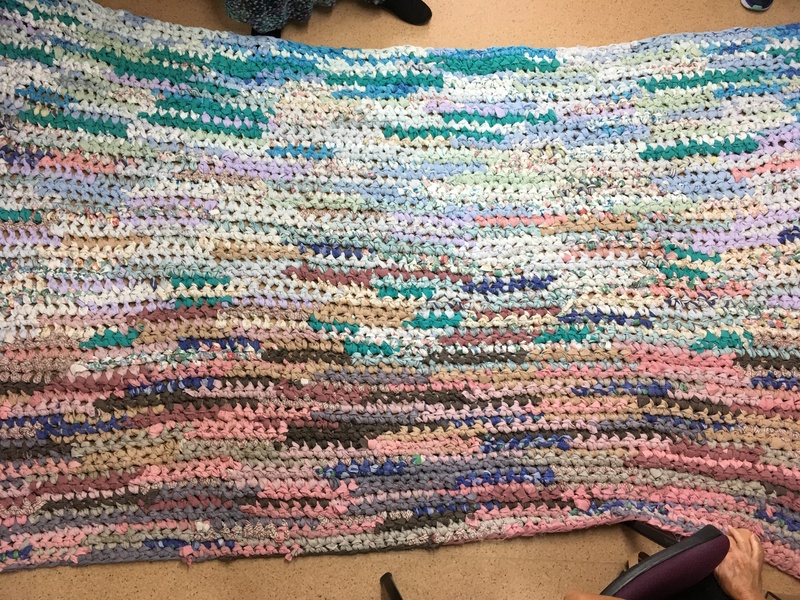 She made it using old sheets torn into strips using a size 25 crochet hook. It is so heavy that it is difficult for one person to lift it! The Central Coast Potters Society is a non-profit organisation dedicated to the promotion and enjoyment of the ancient art of ceramics and sculpture on the Central Coast.